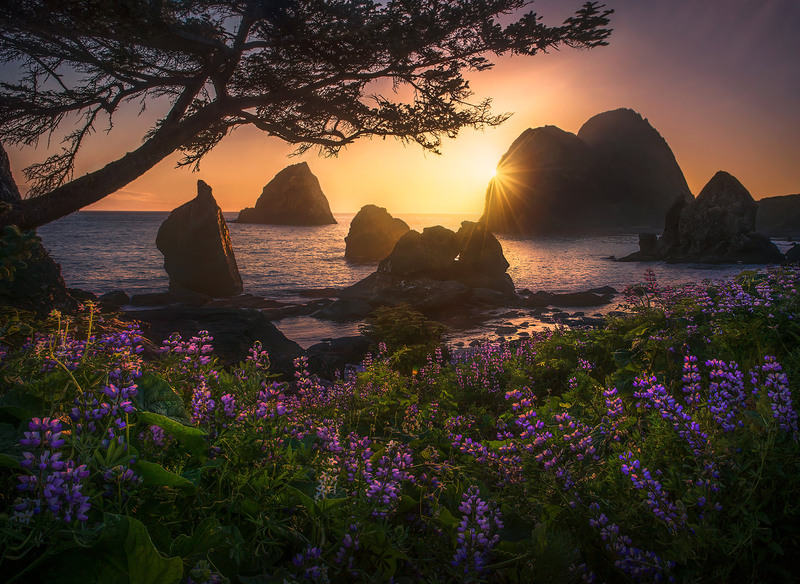 Splendid spring blooms adorn this wild coastline in Southern Oregon. Numerous sea stack towers are visible behind. Photo © copyright by Marc Adamus.